The CBN on February 27, 2017 issued the Exposure Draft on the Codes of Corporate Governance for Other Financial Institutions in Nigeria, and comments received from stakeholders subsequent thereto had been incorporated in the Guidelines as appropriate. Relevant institutions are required to ensure strict compliance with their respective sector code. The full implementation of the codes shall come into effect from April 1, 2019. 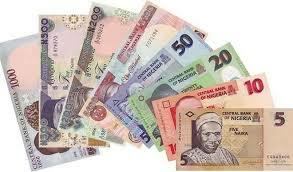 Bureaux de Change (BDCs) are financial institutions licensed to carry on small scale foreign exchange business on a stand-alone basis in Nigeria, serve as tools for the management of exchange rate and provide economic data for monetary policy decisions. Their activities impact on exchange rates; hence BDCs are important players in the money market. 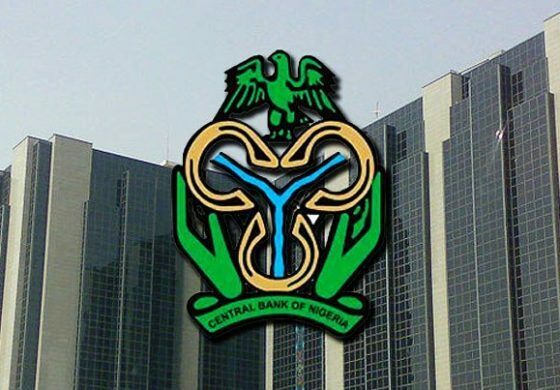 In 2014, the Central Bank of Nigeria observed some deficiencies in the operational effectiveness of BDCs which militate against the achievement of their objectives. To address this challenge, the CBN commenced the reform of the sub-sector and issued revised guidelines which, among others, reviewed upwards the minimum capital requirement for BDCs. To further strengthen the institutions and reposition them to perform their statutory roles, the CBN hereby issues the Code of Corporate Governance for BDCs in Nigeria to complement extant operational guidelines and regulations on BDC business. The code shall apply to BDCs in Nigeria. 2.1.1 The Board shall be accountable and responsible for the performance and affairs of the BDC. Specifically, and in line with the provisions in the Companies and Allied Matters Act (CAMA) 1990(as amended), Directors owe the institution the duty of care and loyalty to act in the interest of the BDC’s shareholders and other stakeholders. 2.1.2 Members of the Board are severally and jointly liable for the activities for the BDC. 2.1.3 The Board shall define the institution’s strategic goals, approve its long and short-term business strategies and monitor their implementation by management. 2.1.5 The Board shall ensure that its human, material and financial resources are effectively deployed towards the attainment of set goals of the BDC. 2.1.6 The Board shall appoint the MD/CEO as well as top management staff and establish a framework for the delegation of authority in the BDC, which shall comply with extant regulations issued by the CBN from time to time. 2.1.7 The Board shall establish and monitor agreed performance targets for the management. 2.1.8 The Board shall ensure that a succession plan is in place for the MD/CEO and other management staff. 2.1.9 The Board shall consider, approve and monitor the implementation of the BDC’s budget, including setting expenditure limits for management. 2.1.10 The Board shall ensure strict adherence to the Code of Conduct for BDC Directors. 2.2.1 The size of the Board of any BDC shall be limited to a minimum of three (3) and a maximum of five (5). 2.2.2 The MD/CEO shall be the only Executive Director of a BDC. 2.2.3 Members of the Board shall be persons of proven integrity and shall meet the requirements of the Revised Assessment Criteria of Approved Persons Regime. 2.3.1 The positions of the Board Chairman and the MD/CEO shall be separate. No one person shall combine the two positions in any BDC at the same time. For the avoidance of doubt, no executive Vice Chairman shall be allowed in the Board structure. 2.3.2 Not more than two members of a family shall be on the board of a BDC at the same time. The expression ‘family’ includes director’s spouse, parents, children, siblings, cousins, uncles, aunts,nephews, nieces and in-laws. 2.3.3 Where the BDC is a member of a holding company, not more than two family members shall be allowed to serve on the Boards of the BDC and the holding company. 2.3.4 No two members of a family shall occupy the positions of Chairman and MD/CEO of a BDC. 2.4.2 To qualify for the position of a Non-Executive Director, it is required that the nominee shall not be an employee of a bank or other financial institution, except where the BDC is promoted by the bank or other financial institution and the proposed director is representing the interest of such an institution. 2.4.4 The appointment to the Board of BDCs shall be in accordance with extant regulations issued by the CBN from time to time. 2.4.6 To ensure continuity and injection of fresh ideas, Non-Executive Directors of BDCs shall serve for a maximum of three (3) terms of four (4) years each. 2.4.7 The tenure of the MD/CEO of the BDC shall be in accordance with the terms of engagement for a tenure of five (5) years renewable every five (5) years subject to CBN approval. 2.4.8 Where the BDC is a member of a Group or is owned by another financial institution, a director in the BDC may be allowed to serve on the Boards of the BDC and its holding company at the same time, provided the aggregate number of directors from the subsidiaries and associates at any point in time shall not exceed 30 per cent of the membership of the Board of Directors of the holdingcompany. 2.4.9 To enhance effectiveness, all Directors shall have access to corporate information under conditions of confidentiality; undergo training and continuing education and have access to independent professional advice. 2.5.1 To effectively perform its oversight functions and monitor management’s performance, the Board shall meet at least once every quarter. 2.5.2 Minutes of meetings of the Board shall be properly written in English language, adopted and signed off by the Board Chairman and Secretary, pasted in the minutes book and domiciled at the BDC’s Head Office. 2.5.3 Every Director shall attend all meetings of the Board. In order to qualify for re-election, a Director must have attended at least two-thirds of all Board meetings in each financial year. 2.5.4 Board meetings shall be deemed to be duly constituted where two-thirds of members are present, provided that a majority of directors at the meeting are Non-Executive Directors’ (NEDs). 2.5.5 The Board shall disclose, in the Corporate Governance Section of the Annual Report, the total number of Board meetings held in the financial year and attendance by each Director. 2.6.1 BDCs shall align executive and Board remuneration with the long term interests of their institutions and their shareholders. 2.6.2 Levels of remuneration should not be excessive but sufficient to attract, retain and motivate management and members of staff of the BDC. 2.6.3 Where remuneration is linked to performance, it shall be designed in such a way as to prevent excessive risk taking. 2.6.4 Every BDC shall have a remuneration policy put in place by the Board of Directors, which shall be disclosed to the shareholders in the annual report. 2.6.5 The MD/CEO shall not receive sitting allowances and Directors’ fees. 2.6.6 Non-Executive Directors’ (NEDs) remuneration shall be limited to Directors’ fees, sitting allowances for Board meetings and reimbursable travel and hotel expenses. NEDs shall not receive salaries and benefits whether in cash or in kind, other than those mentioned above. 2.6.7 BDCs shall disclose in their annual reports, details of the shares held by Directors and their related parties. 2.7.1 There shall be annual Board and Directors’ appraisal covering all aspects of the Board’s structure, composition, responsibilities, processes, relationships and performance or as may be prescribed by the CBN. 2.7.2 The annual Board appraisal shall be conducted by an independent consultant. 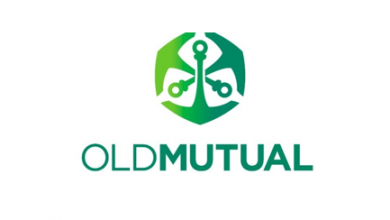 The report shall be presented to shareholders at the AGM and a copy forwarded to the CBN by the independent consultant, not later than March 31 of the following year. 3.1.1 Shareholders shall have the right to obtain relevant and material information from the BDC on a timely and regular basis. 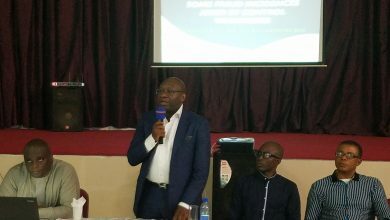 3.1.3 In addition to the traditional means of communication, BDCs are encouraged to have a website and communicate with stakeholders via the website, newsletters Annual General Meetings (AGMs) and/or Extraordinary General Meetings (EGMs). Such information shall include major developments in the BDC, risk management practices, executive compensation, establishment ofinvestment in subsidiaries and associates, Board and top management appointments, sustainability initiatives including Corporate Social Responsibilities (CSR), and any other relevant information. 3.2.1 No government, ministry, department or agency shall have direct and/or indirect equity holding in any BDC. 3.2.2 Except as approved by the CBN, no individual, group of individuals, their proxies or corporate entities and/or their subsidiaries shall own controlling interest in more than one (1) BDC. 3.3.3 nThe Board shall ensure that the shareholders are promptly provided with documentary evidence of ownership interest in the BDCs such as share certificates, dividend warrants and related instruments. Where these are rendered electronically, the Board shall ensure that they are sent in a secure manner. 3.4.2 The Board shall ensure that the venue of a general meeting shall be convenient and easily accessible to the majority of shareholders. 4.1.1 Employees, customers and other stakeholders of BDCs shall be able to freely communicate their concerns about illegal or unethical practices to the Board. Where such concerns bother on the activities of the Board, such individuals shall have recourse to the CBN in accordance with Section 3.4 of the Guidelines for Whistle Blowing for Banks and Other Financial Institutions inNigeria. 4.1.2 Where stakeholders’ interests are protected by law, stakeholders shall have the opportunity to obtain effective redress for violation of their rights. 4.1.3 BDCs shall demonstrate good Corporate Social Responsibility (CSR) to their stakeholders such as customers, employees, host communities, and the general public. 5.1.1 In order to foster good corporate governance, BDCs are required to make timely, quality and robust disclosure beyond the statutory requirements in BOFIA 1991 as amended, CAMA 1990,monetary policy guidelines, all rules and regulations as well as circulars issued by the CBN on foreign exchange activities/business from time to time. ExchangeRates applied in the preparation of the accounts. All regulatory/supervisory contraventions during the year under reviewand infractions uncovered through whistle blowing, including regulatory sanctions and penalties. Any service contracts and other contractual relationships with relatedparties. Sourcesand application of funds during the period of reporting. Details of all domiciliary accounts owned and maintained by the BDC. All customers’ complaints during the reporting period and actions takenthereon. Any matter not specifically mentioned in this code but which is capableof affecting in a significant form, the financial condition of the BDC or its status as a going concern. 5.2.1 BDCs shall have a structure to independently verify and safeguard the integrity of their financial reporting, which shall enhance the independence and competence of the BDC’s internal and external auditors. 5.2.2 Appointment of external auditors shall be approved by the CBN. 5.2.3 External auditors shall render reports to the CBN on BDC’s risk management practices, internal controls and level of compliance with regulatory directives. The report does not contain any untrue statement of a material fact. The financial statements and other financial information in the report, fairly represent, in all material respects the financial condition and results of operations of the BDC as of, and for the periodspresented in the report. 5.2.5 Rendition of false information to the CBN shall attract appropriate sanctions including monetary penalties and suspension of the MD/CEO for six (6) months in the first instance and possible removal. 5.2.6 There shall be due process in all the procedures of BDCs. 5.2.7 Each BDC should have an Internal Auditor who shall report directly to the Board. The Internal Audit and Compliance functions may be merged and headed by one individual. 5.3.1 BDC shall have a whistle-blowing policy made known to employees, customers and other stakeholders. 5.3.2 The policy shall contain mechanisms, including assurance of confidentiality, that encourage all stakeholders to report any unethical activity to the BDC and/or the CBN. 5.3.3 BDCs are required to submit returns on the compliance with the whistle- blowing policy on a semi-annual basis to the Director, Other Financial Institutions Supervision Department, CBN,not later than 7 days after the end of the relevant period. Every board of BDC shall put in place adequate systems, policies and procedures for the identification, measurement, monitoring and control of the risks inherent in its operations. 7.1.1 To make ethical and responsible decisions, BDCs shall comply with their legal obligations and have regard to the reasonable expectations of their stakeholders. 7.1.2 BDCs shall ensure compliance with extant laws and regulations on Anti- Money Laundering and Combating the Financing of Terrorism (AML/CFT). (iii) the responsibility and accountability of individuals reporting and investigating reports of unethical practices. (f) be reviewed regularly and updated when necessary. 7.2.3 Directors shall promptly disclose to the Board any real or potential conflict of interest that they may have regarding any matter that may come before the Board. 7.2.5 Directors who are aware of a real, potential or perceived conflict of interest on the part of a fellow Director, have a responsibility to promptly raise the issue for clarification, either with the Director concerned or with the Chairman of the Board. 8.1 All BDCs shall comply with the provisions of this Code. External auditors of BDCs shall report annually to the CBN, the extent of the BDC’s compliance with the provisions of this Code. 8.2 Returns on the status of each institution’s compliance with this code shall be rendered to the CBN semi-annually (30th June and 31st December every year) or as may be specified by the CBN from time to time. The returns shall be addressed and submitted to the Director, Other Financial Institutions Supervision Department not later than 2weeks after the end of the relevant reporting period. Failure to comply with the Code will attract appropriate sanctions in accordance with section 64 BOFIA Cap B3 Laws of the Federation of Nigeria (LFN) 2004 or as may be specified in anyapplicable legislation or regulation. This code shall take effect from December 1 2018.